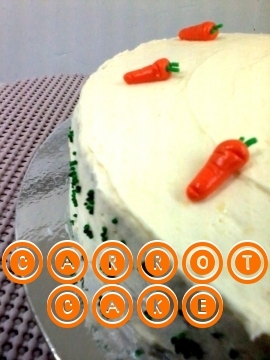 Cuppycakes & more...: Have your Carrots...and eat it too! 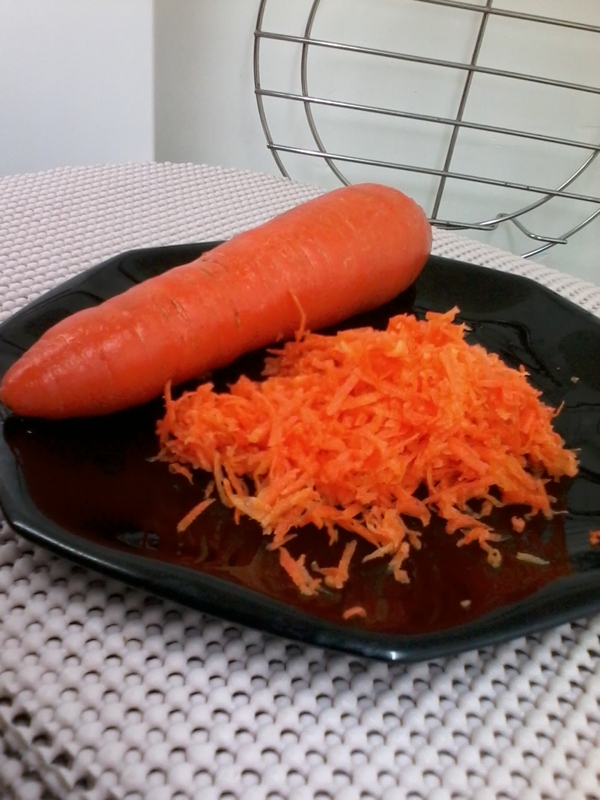 Have your Carrots...and eat it too! Don't even know how it turned up on my list of recipes to try. Maybe my subconscious was telling me to. So if you've never tried one, you should. It's satisfying to know that it is both nutritious and delicious. 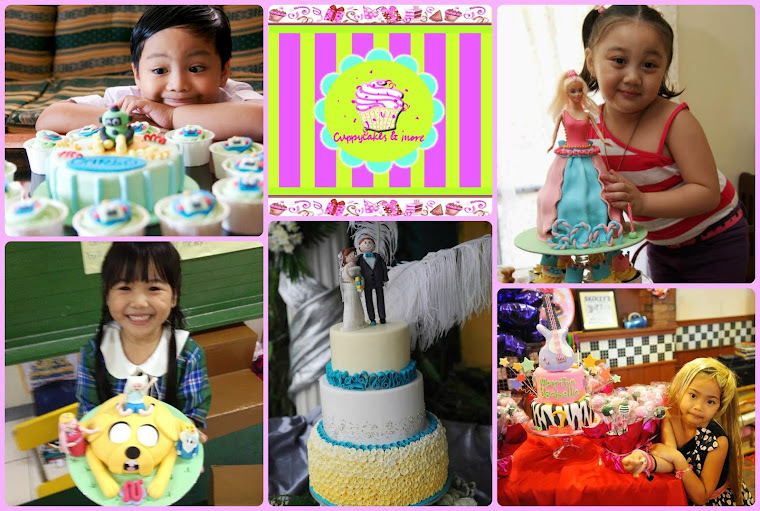 Need I say anything about the frosting this cake calls for? Soft? Smooth? A little cloud of heaven here on earth. You could try and eat it sans the icing but I must say cream cheese and carrot cake is the way to go! 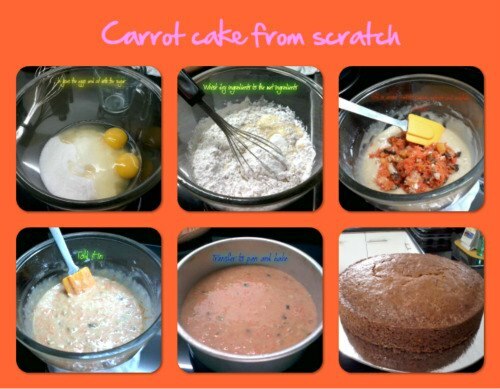 Making the cake is surprisingly easy. 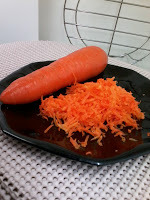 The only time consuming part and perhaps the hardest step is grating the carrots. The addition of walnuts, raisins and crushed pineapples make this cake all the more delicious. But if you have a family member with nut allergy then you can skip the walnuts and still end up with a delectable cake. 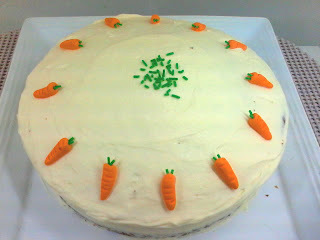 For the frosting, I wanted something a tad bit tart so you will see sour cream and lemon juice added. This recipe is just enough for a single 8" cake pan. 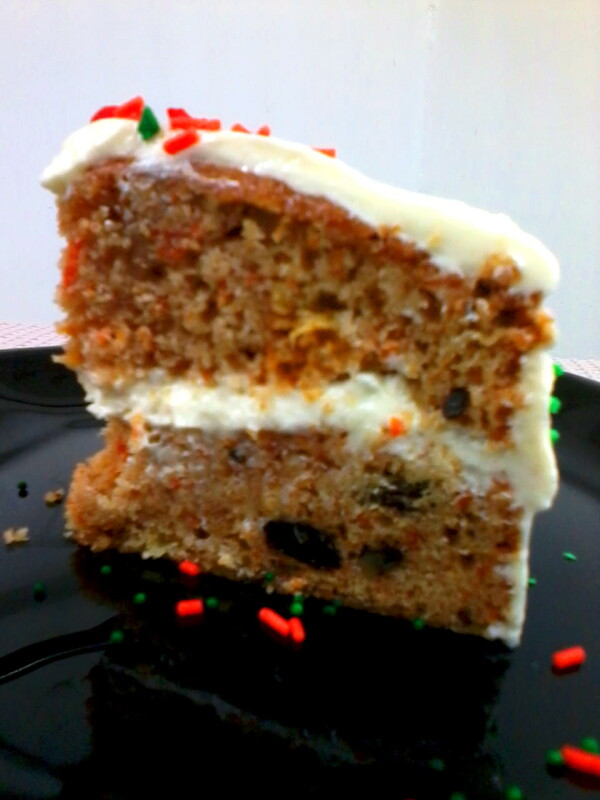 Feel free to double the recipe should you intend to make layered cakes. Preheat oven to 170C. Grease bottom and sides of your pan 8" baking pan and line with parchment paper ( bottom only ). DRY INGREDIENTS : Sift everything together in a bowl. Then mix the dry ingredients to the wet ingredients but be careful not to over mix. Once mixed, fold it into your batter. Pour mixture to prepare baking pan and bake for 40-45 minutes or until cake tester comes out clean. Start by creaming together butter and confectioners sugar until smooth. Add the lemon juice and **sour cream. Then add your cream cheese. And beat until smooth in consistency. NOTE : I was able to cut cake to 2 layers so frosting recipe above is enough to frost layers and cover the cake as well. 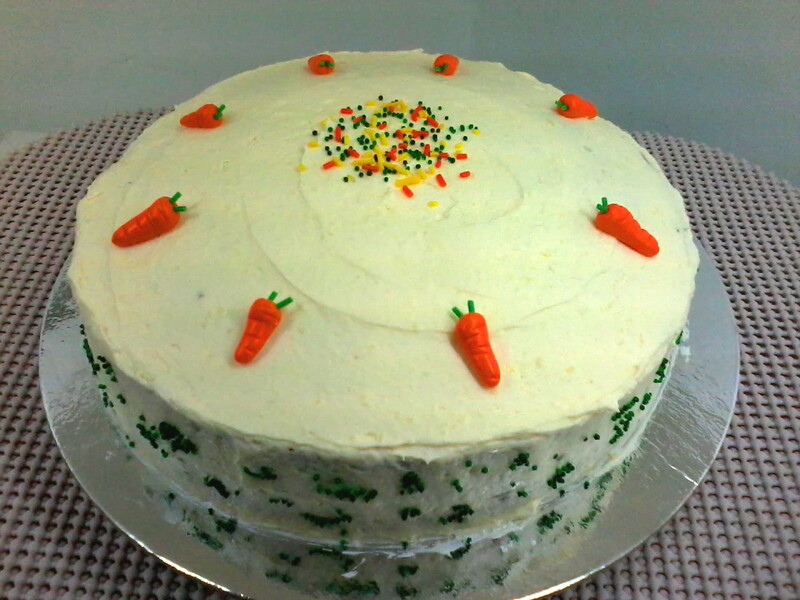 I used fondant carrots and sprinkles to add a little decoration. 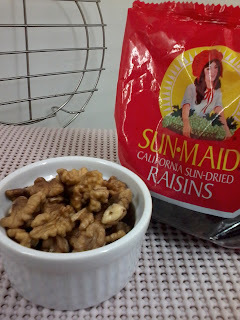 And since I have been making a lot of this lately, I had the opportunity to tweak the recipe many times. 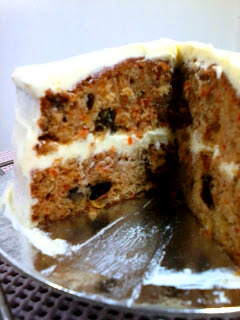 This recipe is not meant to be kept ( in the baul as they say here in the Philippines ), so I am sharing it to the world.